At UKcentric we understand that the time, effort and complexity of updating your website and keeping it safe, secure and online eats into your profits. That’s why we offer a tailor-made website maintenance packages to suit every budget. We are so sure you’ll love having UKcentric on your team, that we’re offering a free month if you commit to at least 3 months of website updates and web support. See below for details. How does a web maintenance plan work? How much does a website maintenance plan cost? Prices can vary as each plan is tailor made to suit your needs. A small business might pay in the region of £400 – £800 per month depending on the agreed amount of hours. A larger business could pay £1000+. Whatever we agree as the monthly price is what you will pay. You’ll never pay more except for “specials”. You will have a dedicated account manager who will fully understand your business and will be available during business hours on the phone, email or Skype. You’ll form a close working relationship with your account manager. They’ll be like another member of your staff – a crucial part of your business life. You will email your account manager your instructions for site updates, together with any text you might have written. Your account manager will then action each update and report back. You can also arrange to have monthly or weekly conference calls or face-to-face meetings, if you like. You are welcome to visit our offices too. We are based in Surbiton, Surrey, South-West London, which is just 20 minutes train journey from central London. How flexible is the plan? Very flexible. You can vary the amount you pay each month as your needs change over time. You can order “specials” for special one-off jobs which are outside your normal monthly budget. No. Unlike other companies, we do not tie you into a long-term contract. You can stop website maintenance whenever you like. The exception is if you take advantage of the “third month free” offer – in this case we ask that you commit to a minimum of three months – but after that you are free to leave us. We don’t think you will though! Can you update any type of website? Yes. It really doesn’t matter how your website is built – whether it’s WordPress, Joomla, Drupal, Umbraco or any other kind of Content Management System. Equally we are expert programmers in CSS, HTML (including HTML5), PHP, Ruby and Python so we can take anything you throw at us! A special is simply a one-off piece of work that’s needs to done quickly and therefore can’t be scheduled into the monthly updates. For example if you decide to do a large advertising campaign, we could create all the banners and videos as a “special” whilst keeping all the usual monthly updates flowing. We quote separately (and very competitively!) for specials. UKcentric was founded in 1999 and we’ve worked on hundreds and hundreds of website builds and projects. We’re fully fluent in all modern programming languages and technologies. You can see some of our previous clients on our customer list. If you are not completely delighted with our work, we’ll refund up to one month’s fees. How do I get the third month free? 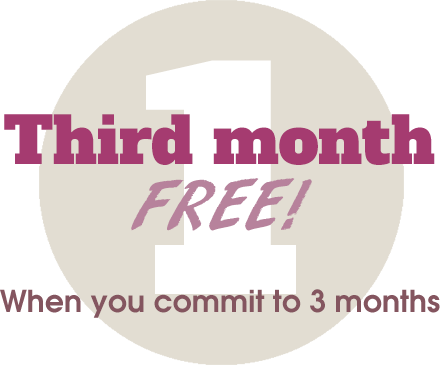 Our “third month free” offer applies if you agree to sign up for a minimum of three months, paid monthly in advance. As soon as we receive your first payment, we’ll start work on your website, and you will only receive one further invoice in the first three months. It’s three months work for the price of two! What does "professional webmastering" mean? Professional webmastering can include anything shown in our list to the right. It could be anything from creating new blog content by professional web journalists, to installing new features, developing new pages, fixing problems, increasing traffic through SEO, and many other monthly activities. We carry out your strategy and advise you on a monthly basis how best to use your website to meet your business goals. Do I have to host my website with UKcentric? No! The beauty of our website maintenance plans is that you can host your site whereever you like, and we will still be able to use our professional webmastering skills to maintain and update your site. 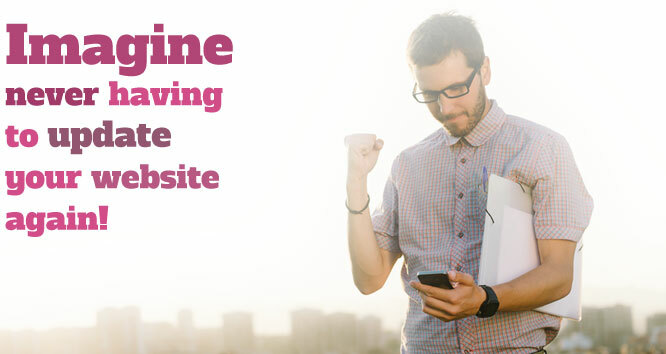 Having said that we’d be delighted to host your website using our rock-solid web hosting offering. What is "Backup and restore"? Your website is only as strong as it’s last backup. And it’s last backup is only good if it has been tested and verified as viable through a “restore”. This means we take a monthly, offsite backup of your website and database (if any) then rebuild your site on our own test platform. UKcentric is the only company we know of that offers this vital service. Every single business, no matter how large or small, needs to ensure they have a full monthly backup and restore to ensure they are avoiding the risk of operating without backups. What is 24x7x365 website uptime monitoring? We use state-of-the-art software to send requests to your website from a diverse selection of locations around the globe. By testing your website every 5 – 15 minutes 24×7 web can be alerted almost instantly of any downtime, and swing into action to correct the problem. No matter what time of day we are always on hand to identify and fix problems with your site – usually before you even know about them! We’re a small team of experienced, reliable, proactive and friendly webmasters based in South West London. We have 17 years of experience in provide website support for all types of sites, including e-commerce, static/informational, blogs, forums and magazine sites. We work with businesses from 1-250 people, local authorities and charities. We monitor your website every second of every day to check for downtime or hacking. We use best-of-class monitoring software to monitor from multiple locations around the world and can provide second-by-second reports of uptime and downtime. We can also liaise with your web hosts to resolve issues as they arise.